Education in Georgia consists of public and private schools in Georgia (U.S. state), including the University of Georgia, private colleges, and secondary and primary schools. The vast majority of public schools in the state are operated by county-ordered districts, with city-based districts (autonomous from county districts) being a small minority (namely Pelham, Atlanta, Decatur, Social Circle, Marietta, Commerce, Dalton, Dublin, Gainesville, Jefferson, Rome, Thomasville, Trion, Valdosta, Vidalia, Bremen, Buford, Calhoun), and Cartersville. The Georgia Department of Education (GaDOE) administers public education in the state. The department is administered by an elected State Superintendent of Schools. Local municipalities and their respective school districts operate individual public schools but the GaDOE audits performance of public schools. The GaDOE also makes recommendations to state leaders concerning education spending and policies. Georgia ranked 30th in the nation for educational performance, according to Education Week’s Quality Counts 2018 report. The state had earned an overall score of 73.0 out of 100 points. On average, the nation received a score of 75.2; meaning the state ranked slightly below average. Georgia posted a C-plus in the Chance-for-Success category, ranking 33rd on factors that contribute to a person’s success both within and outside the K-12 education system. Georgia received a mark of D-plus and finished 37th for School Finance. It ranked 11th with a grade of C on the K-12 Achievement Index. In 2009, Georgia had a high school graduation rate of 59.3%, the third lowest in the country. Georgia high schools (grades nine through twelve) are required to administer a standardized, multiple choice End of Course Test, or EOCT, in each of eight core subjects including Algebra I, Geometry, U.S. History, Economics, Biology, Physical Science, Ninth Grade Literature and Composition, and American Literature and Composition. The official purpose of the tests is to assess “specific content knowledge and skills.” Although a minimum test score is not required for the student to receive credit in the course, completion of the test is mandatory. The EOCT score comprises 15% of a student’s grade in the course. The Criterion-Referenced Competency Tests (CRCT) is taken in 1st-8th grade. High school students must also receive passing scores on four Georgia High School Graduation Tests (GHSGT) and the Georgia High School Writing Assessment in order to receive a diploma. Subjects assessed include Mathematics, Science, Language Arts, and Social Studies. These tests are initially offered during students’ eleventh-grade year, allowing for multiple opportunities to pass the tests before graduation at the end of twelfth grade. 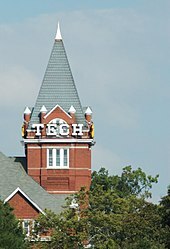 Georgia has 62 public colleges, universities, and technical colleges in addition to over 45 private institutes of higher learning. The HOPE Scholarship, funded by the state lottery, was available to all Georgia residents who have graduated from high school with a 3.0 or higher grade point average and who attend a public college or university in the state. The scholarship covers the cost of tuition and provides a stipend for books for up to 120 credit hours. If the student does not maintain a 3.0 average while in college they may lose the scholarship in which case they will have the chance to get it back by bringing their grade point average above a 3.0 within a period of 30 credit hours. This scholarship has had a significant impact on the state university system, increasing competition for admission and increasing the quality of education. In 2011, facing a budget shortfall, the state cut portions of the HOPE scholarship. Bill 326 trimmed scholarships by 90 percent. High school seniors who earn a 3.7 GPA and a 1200 on the SAT will still be able to get a full scholarship under the new law. Current college students are not eligible for the full scholarship amount. ^ a b “Georgia Earns a C on State Report Card, Ranks 30th in Nation – Quality Counts”. Education Week. Editorial Projects in Education. 37 (17). 17 January 2018. Retrieved 11 February 2019. ^ GA DOE – Testing – EOCT Archived 2 May 2010 at the Wayback Machine. Retrieved 24 April 2008. ^ GA DOE – Testing – GHSGT Archived 22 March 2010 at the Wayback Machine. Retrieved 24 April 2008.